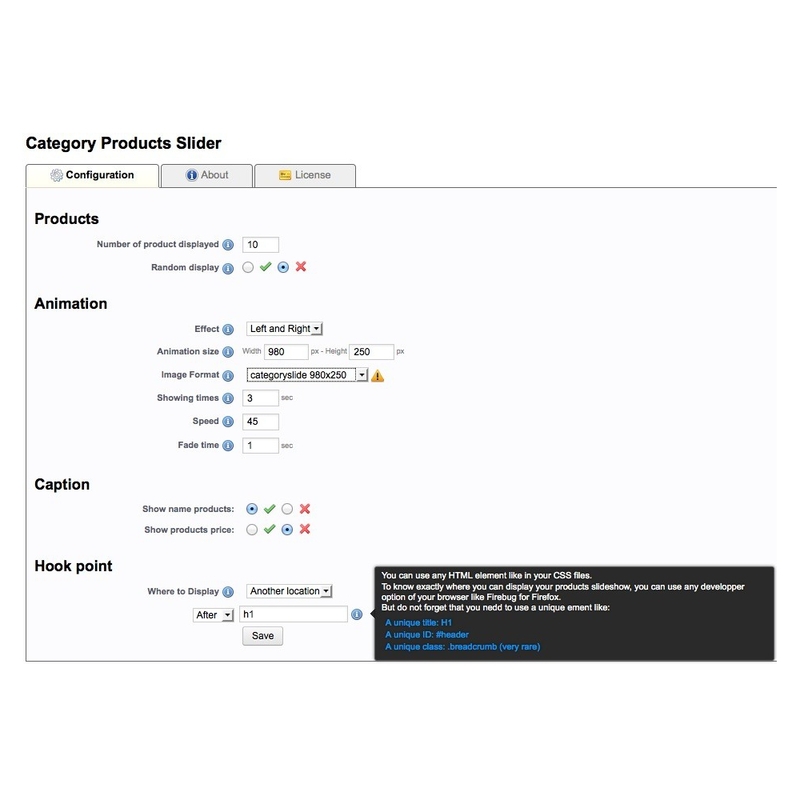 This module for Prestashop will enable you to quickly implement and where you want, a slideshow of your products in each category of your site. This slideshow will automatically display each products present in the displayed category and will host this page to allow a more rapid discovery of your catalog by your customers. 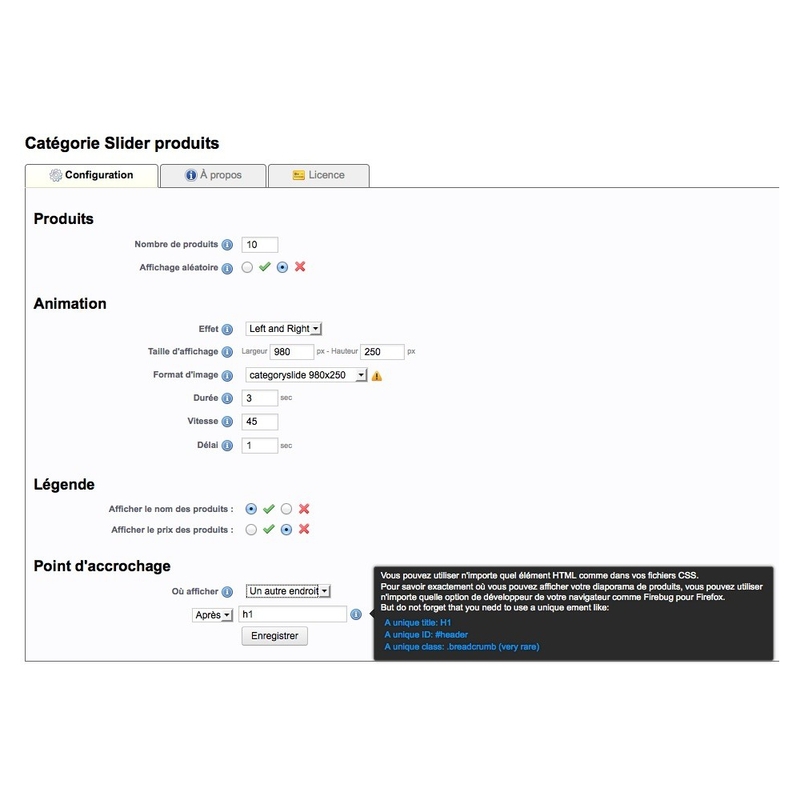 You will lose more time to configure this slideshow, because it will automatically display any new product added to your catalog. Your customers will be able to quickly discover the visited category products and thus to gain time on his act of purchase. This module is easily configurable to integrate with the more accurate your shop and its design. All the documentation to manage this module is available directly in the module each time you'll see appear a pellet of information or a warning sign. 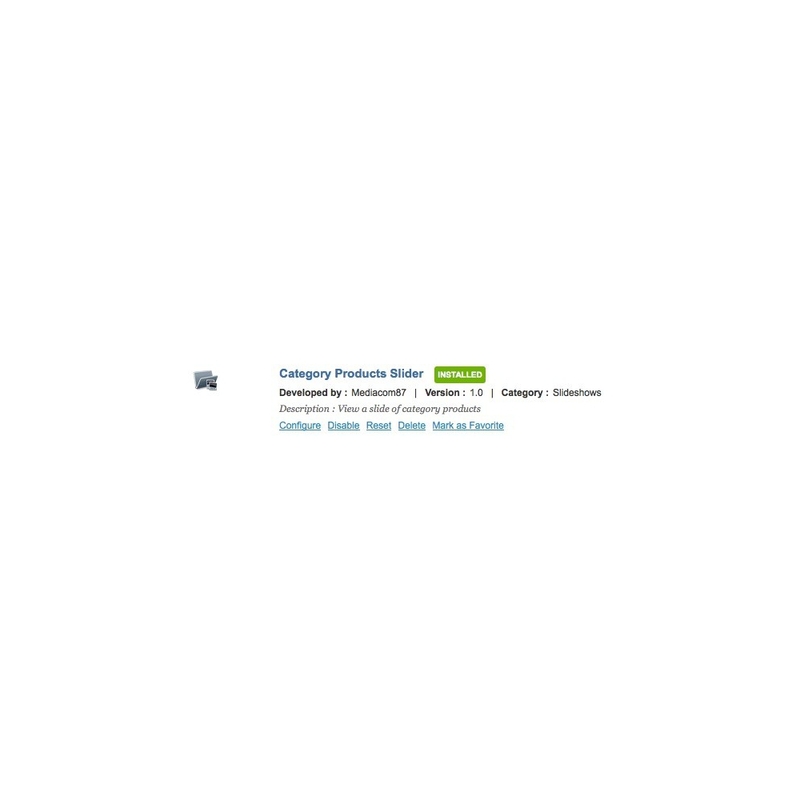 You can choose the number of products to display in the slide show from the complete list of visited category products, do not too raise this figure as it could slow down the display of the page. You can decide to randomly display the list of products to not tire your visitors and to discover all of your catalog if it is large. You can select 1 of the 4 proposed animation effects to suit best to the desired effect (Fade, Left and Right, Up and Down and Ken Burns).